The presence of scales in public space has always intrigued me. Such a quantification device is generally private but there are different occurrences of public appearances. 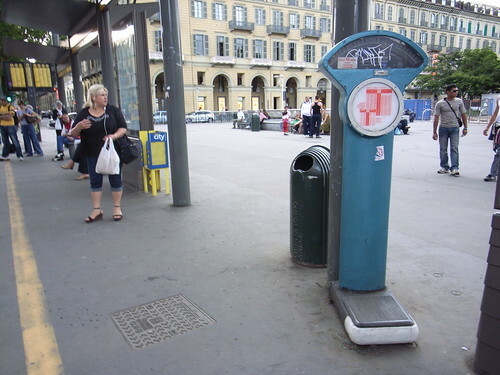 The picture above in Torino depict street scales that people can use (and pay for) to know their weight, which is definitely a personal use, although it takes place in a public space. There is clearly a cultural thing to have this sort of artifact in the urban environment and I don't really know the whole picture here. It seems curious though. 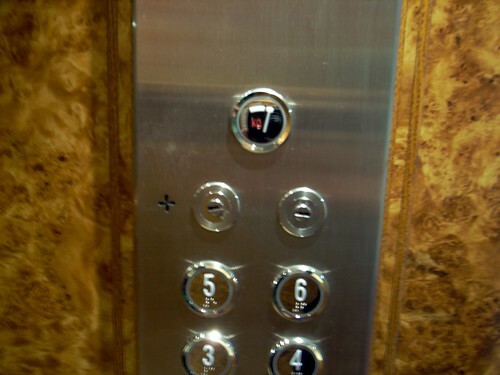 The one below, taken from a lift in an hotel in Paris shows the scale of the group: it's a group indicator that is meant to prevent the elevator to break down if the weight is too important. I can't help thinking about the awkward situation that may happen if the scale warns people that there are too much people in the lift. Will the negotiation process be fluid or will it lead to unexpected arguments. As usual with devices that make things explicit, I foresee surprises. Why do I blog this? yet another example of quantification devices employed in our material world. The practices at stake here are important to document and compare to the whole discourse about how measuring our movements/activities can lead to original representations and services (will individual weight be a parameter in some sort of scary identification process? will we have elevator services based on group weight? how weird?). "Everyware surfaces and makes explicit information that has always been latent in our lives, and this will frequently be incommensurate with social or psychological comfort"